There are some many different types of engagements ring designs available today. 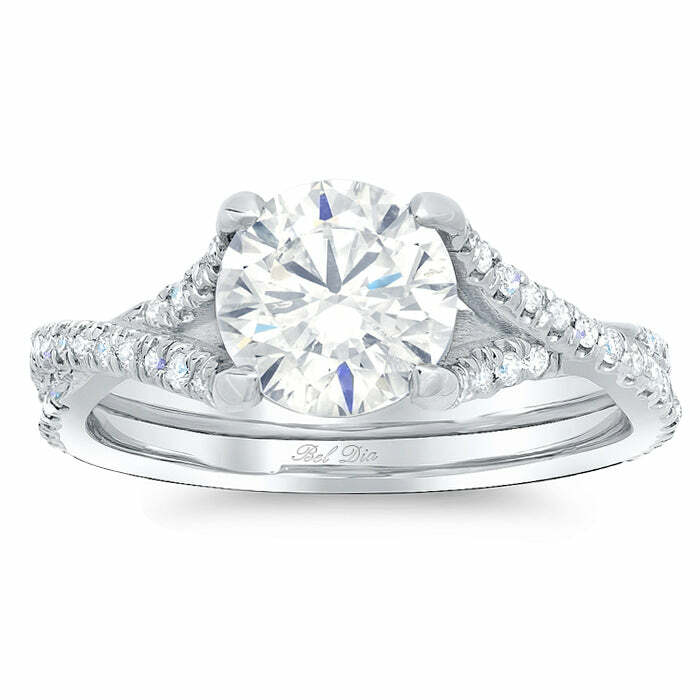 When you browse online for engagement rings, you see there’s solitaire, halo, double halo, diamond accented, gemstone accented and so much more. One of my absolute favorite designs though is the twisted shank engagement ring. Here at deBebians, we have a few different twisted shank engagement rings from which you can choose. This twisted shank pave diamond engagement ring setting is pretty much a knockout. Featuring approximately 1.85cttw of hand set pave diamonds, this ring will sparkle from miles away. This twisted shank engagement ring setting is ideal for a round brilliant cut diamond, but can be custom manufactured for pretty much any diamond shape. If you want a twisted shank engagement ring, but are looking for a more simple design, this pave diamond twisted shank ring is the one! This pave twisted engagement ring features 0.25cttw of round brilliant cut diamonds, flowing up the ring side by side with a soft twist leading up to the center diamond. 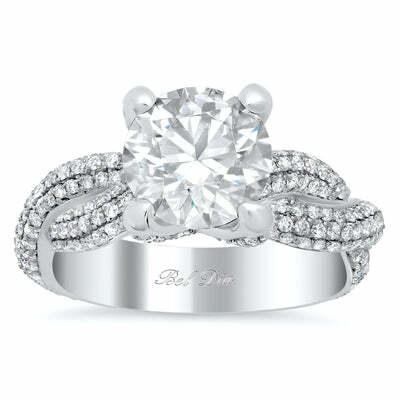 This is a classic diamond accented twist engagement ring that will be in style for many years! If you are looking for a twisted shank engagement ring, look no further. We have a large selection of twisted shank engagement rings and can even custom manufacture anything you have in mind if you don’t see what you are looking for on our site. Happy shopping!